Pete Stollery studied composition with Jonty Harrison at Birmingham University, where he gained a doctorate in composition. He now composes almost exclusively in the electroacoustic medium, particularly acousmatic music where there exists an interplay between the original “meaning” of sounds and sounds existing purely as sound, divorced from their physical origins. In his music, this is achieved by the juxtaposition of real (familiar) and unreal (unfamiliar) sounds to create surreal landscapes. His music is performed at major festivals all over the world and has won many awards. Several works are available on CD and DVD-A through empreintes DIGITIALes. 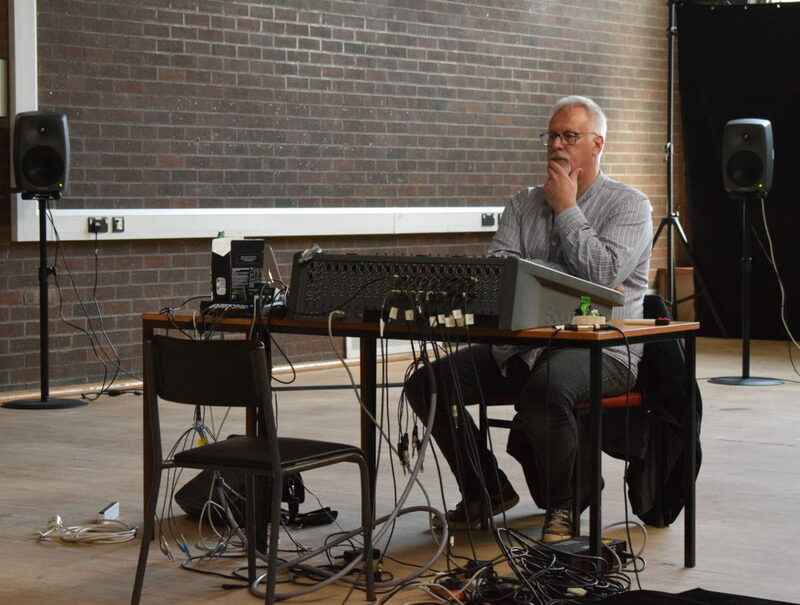 He is Professor of Electroacoustic Music and Composition at the University of Aberdeen, Scotland. He was chair of Sonic Arts Network until 2007 and is a founder member of invisiblEARts, a group of sound artists based in Scotland, who exist to promote acousmatic music in Scotland and abroad. He is Chair of the sound festival, Scotland’s new music festival.